Bill Nye has a simple explanation when asked why Americans should be grateful for our national parks: "They're precious, they're priceless and they need to be preserved." He was recently appointed as a centennial ambassador for the National Park Service ahead of the agency's 100th birthday next year in hopes of inspiring the next generation of park-goers to fall in love with the natural world. The NPS recently launched the Find Your Park campaign to celebrate not only the stunning wonders of Yosemite and Acadia, but also the hundreds of other monuments and protected areas overseen by the authority. 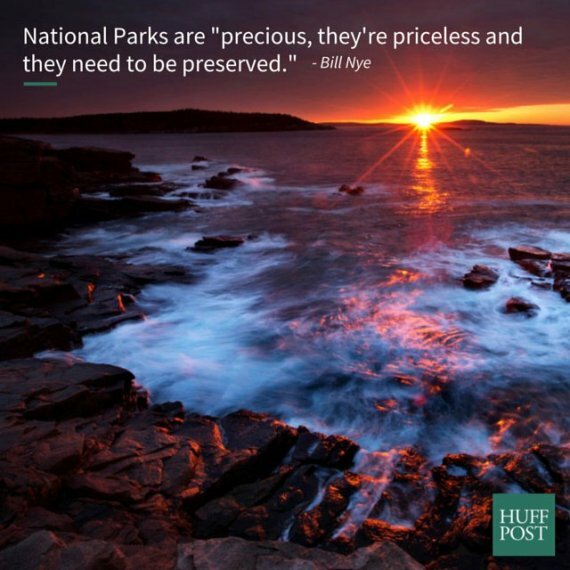 "You think of a national park and you think of vast landscapes, enormous vistas," Nye told The Huffington Post. "But people forget that the Statue of Liberty is a national park. We want people to visit them, to know your park." Nye, often attached to his "Science Guy" moniker, said an appreciation of nature and preservation goes hand in hand with scientific awareness, including politically charged issues like climate change. Even a cursory visit to a national park can inform visitors that "climate change is manifesting itself everywhere." "Glacier National Park is becoming 'Mudslide National Park' because of climate change," Nye said. In an age where the words "climate change" can be banned and presidential candidates call environmentalists "flat-earthers," Nye said he's confident that a visit to a national park will raise the public's urgency to address our changing world. 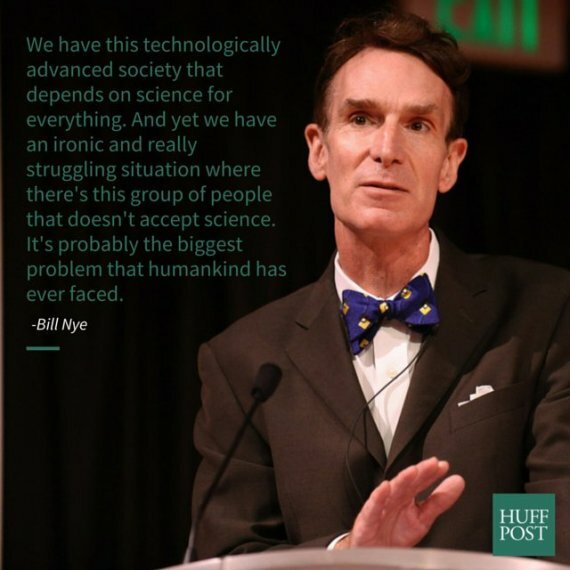 "We have this technologically advanced society that depends on science for everything," Nye told HuffPost. "And yet we have an ironic and really struggling situation where there's this group of people that doesn't accept science. It's probably the biggest problem that humankind has ever faced." Despite the struggle, Nye's encouraged by recent gains in environmental awareness. The U.S. recently committed to slash emissions up to 28 percent over the next decade in advance of the upcoming U.N. climate summit. "You have to be optimistic. If you're not optimistic, you will not achieve anything," he said. There are more than 400 sites overseen by the NPS, including 59 designated national parks. You can find one near you here.